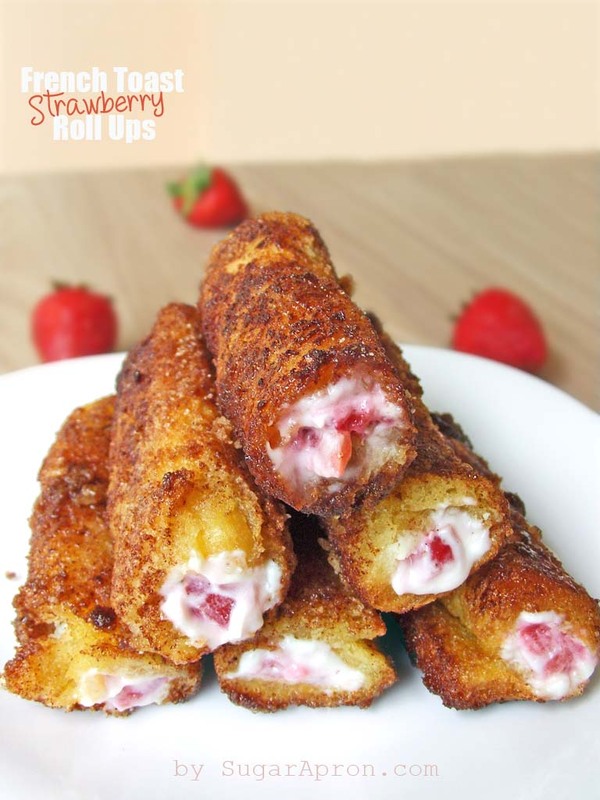 These strawberry Cheesecake French Toast Roll Ups are actually really easy to make and you probably have all the ingredients in your home already! Oh yes, these taste as good as they look! I love making breakfast for the family. Usually we have some yogurt, cold cereal, sometimes danish, (yup with strawberry and cheese) and french toast. Everyone can make French toast, which has endless variations. 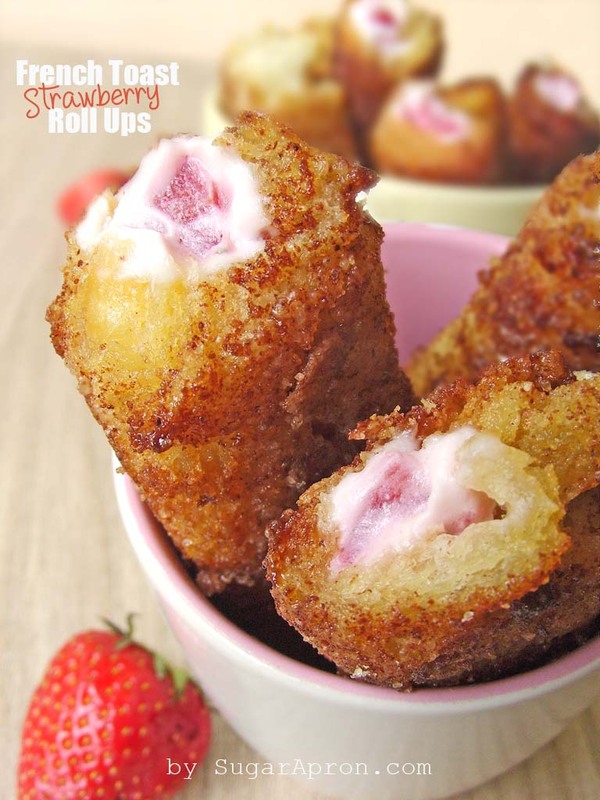 These strawberry cheesecake French toast roll-ups are actually really easy to make and you probably have all the ingredients in your home already! Great for a weekend breakfast! These strawberry cheesecake French toast roll-ups are actually really easy to make and you probably have all the ingredients in your home already! Put into a bowl and add 1 tsp sugar. Toss to coat. In another bowl, soften cream cheese in the microwave for about 10 seconds. Add in powdered sugar and stir to combine well. Flatten the bread slices with a rolling pin and trim off the crusts. Spread about a teaspoon of the cream cheese mixture along one edge of the bread. Top with about a spoonful of strawberries. Gently but tightly roll up the bread around the strawberries and cream cheese mix. Continue with the remaining bread. In a shallow bowl, whisk the eggs with the milk, remaining 2 teaspoons of sugar and cinnamon. Preheat your nonstick pan over medium heat. Add a bit of oil and a pat of butter. Coat the rolls in the egg mixture and place seam side down. When browned, turn a quarter turn and continue until all sides are cooked and browned nicely. Remove to a plate, dust with more powdered sugar, if desired, and top with remaining strawberries. Wow, these sound like such a tasty treat! Yum!